As a building owner or property manager, your roof can be one of the most dangerous aspects of your property. In fact, Forbes magazine recently listed roofing as the sixth most dangerous job in America. Fall protection is also the Occupational Safety and Health Administration’s (OSHA) top-listed citation annually. It goes without saying that you can’t underestimate the importance of rooftop safety compliance. Having a proactive approach to fall protection is one of the best ways to ensure on-site safety during a new roofing project and prevent injury or liability for your commercial roof. The reality is that there will likely be a lot of people to walk on your roof over its lifetime—roofers, HVAC workers, building inspectors, etc. So, how do you go about preventing a major incident? The Occupational Safety and Health Administration has set new guidelines for the safety measures that are required for commercial roofs. These regulations require that all commercial roofs (new or old) need top-ridge anchors installed that inspectors and contractors can attach safety cords to so they can walk and inspect roofs and perform repairs or replacements of roofing materials. If you allow people to walk on a roof without these precautions in place, you will be out of compliance with OSHA regulations and subject to fines. You could also face insurance issues for not following regulations. Throughout the lifecycle and maintenance of your roof, those who work on the roof can face many different threats. The Maxwell Roofing team wants to provide customers with the greatest peace-of-mind possible when it comes to rooftop safety compliance and fall protection. Before any new roofing project, our team works to conduct a JHA that identifies all the potential hazards for the roofing crew, people inside the building, visitors, and passers-by. This includes specific analysis of fall protection and rooftop safety concerns. OSHA considers a rooftop skylight to be a hole in the roof surface. If skylights are in the vicinity of any work area or walking surface, they must be protected with the appropriate fall protection screens or guardrails. Maxwell Roofing works with our customers to address specific skylight issues by putting handrails around it or installing a skylight screen with a wire mesh framework. In order to meet the specific OSHA regulations, we provide engineering and installation services for Hatch Railing Systems and Roof Davits. These railing systems allow individuals to access the roof from a ladder inside the building with a grab bar for a climber, ensuring a safe transition to and from the ladder. Roof Davits (or Roof Anchors) are attached at various points across the roof so that people can hook up to them with a safety harness and conduct their work without falling. For buildings that don’t have walls around the edge of the roof, we recommend at least 4-12 davits laid out strategically across your roof. For rooftops with HVAC units within six feet of a roof’s edge, it’s wise to have some sort of guardrail between the side of the unit and the edge of the roof. These rail barriers are intended to protect HVAC workers in the event that someone trips, leans back, or loses balance. When it comes to your roof, safety should be your first priority. 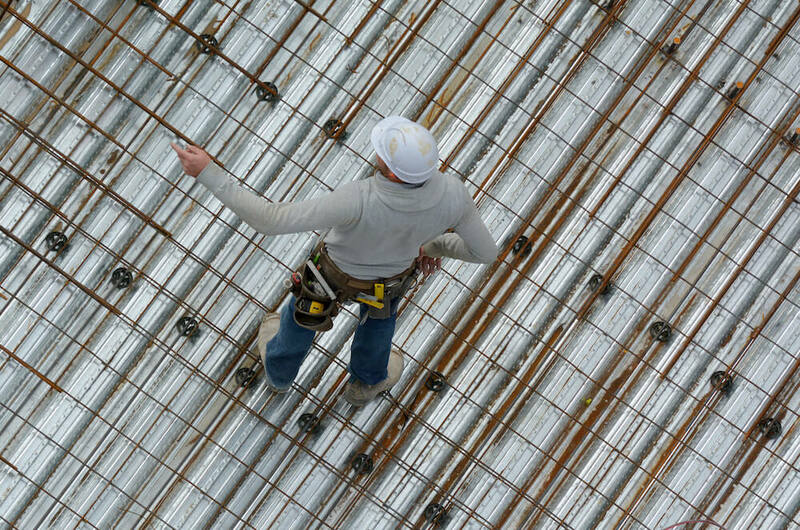 If you are concerned about potential safety compliance of fall protection issue, our team at Maxwell Roofing & Sheet Metal, Inc. is here to help. Contact our team to discuss your specific needs and identify the best approach for your project.